If you’re the romantic type, Valentine’s Day is no doubt something to look forward to. But if you’re the money-conscious type, it’s an event to dread. All told, you’re looking at $266.72, and that’s not even factoring in the cost of a gift. Ouch. Now if you’re doing well financially and can afford to spoil that special someone in your life, then by all means, spend a small fortune if that’s what it takes to keep your relationship in a healthy place. But if you’re behind on savings, or are already in a ton of debt, then plunking down close to $300 on a single day is hardly a prudent move. And make no mistake about it: Many Americans are in a bad place savings-wise. An estimated 40% don’t have enough money in the bank to cover a $400 emergency. And that’s why splurging on Valentine’s Day is a bad idea — because chances are, there’s a more important use for your money. We all need money in the bank for emergencies, and ideally, you should have enough to cover at least three months’ worth of living expenses. If you’re not there yet, then you certainly can’t afford to be spending anywhere close to $266.72 on a single day. Rather, you should be banking every spare dollar you come across until you’re in a more secure spot. Otherwise, you’ll risk racking up debt the next time a major bill hits you unexpectedly. 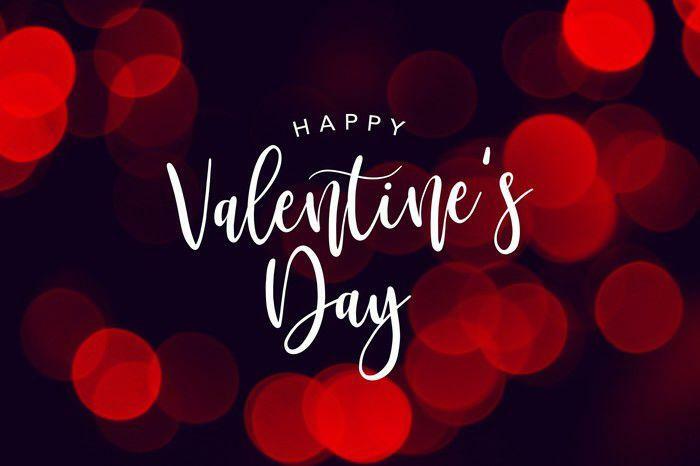 And speaking of debt, if you’re carrying that of the credit card variety, you certainly don’t want to add to it by going overboard on Valentine’s Day. Even if you happen to have the cash on hand to cover your flowers, chocolate, champagne, and fancy meal, you’d be much better off using that $266 and change to chip away at your existing debt. If you don’t, you’ll continue accruing interest on that sum, thereby costing yourself more money in the long run. Now this isn’t to say that you shouldn’t spend anything on Valentine’s Day. After all, you don’t want to incur the wrath of your partner. But if your finances are in poor shape, don’t blow $266.72, especially since all of the above items can be had on the cheap. Rather than blow $97.22 on a bouquet of roses that, let’s face it, will die in a matter of days, buy your partner a single rose as a gesture. Instead of spending nearly $16 on a fancy box of chocolates, choose a small sampler for half the price. Champagne, meanwhile, can be had for well less than $52.61, so get a $20 bottle and enjoy it like you mean it. And instead of paying a premium for a restaurant meal that will probably be pre-fixed and mediocre at best, cook at home. You can easily whip up a three-course dinner for $25 and have leftovers to spare. The pressure to spend money on Valentine’s Day is real — but you don’t have to give into it. Rather than let that single occasion bust your budget, find ways to pull it off for less, and save your money for more important things. With any luck, your significant other will appreciate not just your effort, but your financial savviness to boot.